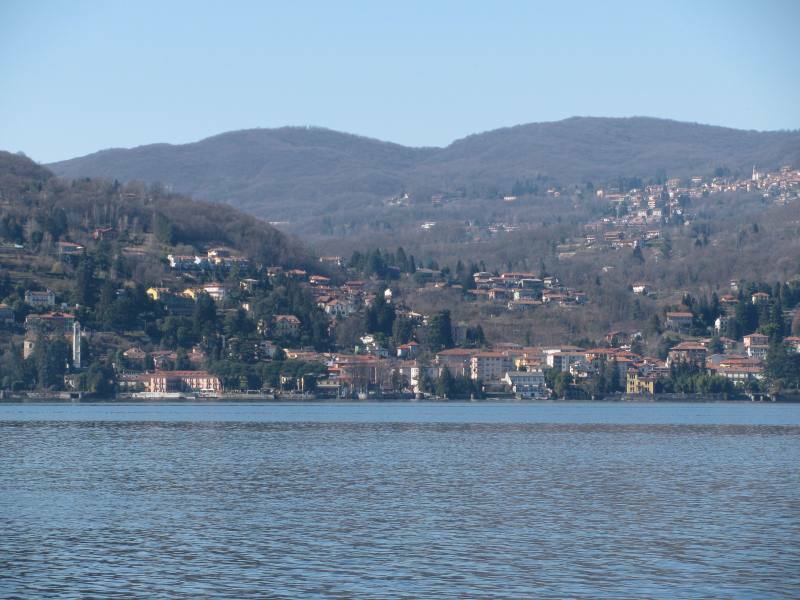 Meina is a delightful town on the Piedmont shore of Lake Maggiore located just after the settlement of Arona and before Solcio di Lesa (heading north on trunk road Statale Sempione). The area was already inhabited in the Bronze Age and still has obvious traces of its more recent feudal past. Originally known as Madina, Meina is home to several interesting churches. The most important one is the Church of Santa Margherita with its interesting frescoes. The 19th-century Church of San Rocco is in the hamlet of Silvera (a village approx. 500 metres asl on the dominating slopes), and the Church of Madonna di Fatima is in Piantini. The medieval Oratory of Sant’Anna and the Church of Santa Maria Assunta can be admired in Ghevio di Meina, which like Silvera, is also positioned on the hills behind Meina. Ghevio is also home to an interesting building once occupied by a smith’s workshop, where several interesting ancient contrivances can be seen. A monastery from Pavia and a Benedictine monastery from Arona had property in Meina in the 10th and 11th centuries. It became the property of the Milanese archbishops along with the entire Vergante area just before the 1200’s, and was later a fief under the Visconti and the Borromeo families. Several prestigious residences reveal the charming beauties of Lake Maggiore and the birth of refined holidaying starting in the 18th century. In fact, Meina’s entire coast is a succession of villas and parks. The most admirable example is certainly the neoclassical Villa Faraggiana, which was built in 1855 by Raffaele Faraggiana and is surrounded by a large park (over 70 hectares). 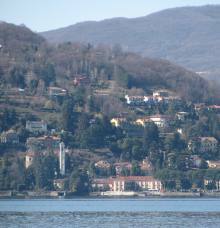 Villa Cella’s spacious park leading right down to the lakeside, is also spectacular. If you’re interested in visiting Meina and admiring its marvellous villas, take a look at the local hotels and start planning your trip!